The Scottish Green Party is part of an international political movement, guided by the principles of Environmental, Social and Economic Justice. 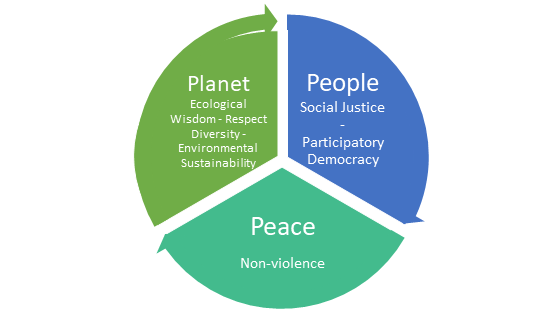 We push for local control, radical participatory democracy, international cooperation and peaceful means to achieve these goals. Our purpose is to get Green representatives elected at all levels, to promote Green policies when elected; and to work with others to build a stronger, more resilient and confident society, with a self-sustaining economy in a diverse and flourishing Highlands and Islands environment. Climate Change: are we doing all we can to prevent catastrophic climate change?